California's largest eelgrass beds, located at the south end of the state's largest bay, form a vital spring staging area for migrating black (Pacific) brant. Background: California's largest eelgrass beds, located at the south end of the state's second largest natural bay, form a vital spring staging area for migrating black (Pacific) brant, more than 10,000 can be viewed at one time. Tens of thousands of Aleutian geese may be seen during late winter and spring. Resident harbor seals glide through open waters, weaving among northern pintails, wigeon, and other waterfowl, seals haul out and bear their young on intertidal mudflats. Tidal flats also attract thousands of shorebirds, including western sandpipers, dunlins, curlews, and willets. American bitterns and other wading birds feed along Salmon Creek and Hookton Slough, look for songbirds in adjacent grasslands. Califoria's northernmost heron rookery is located on Indian Island. Humboldt Bay is also a spawning, rearing, and feeding area for clams, crabs, flounder, and other species. A historic duck club building is located on the Salmon Creek Unit. The duck club is planned to eventually become an exhibit emphasizing historic land uses and waterfowling of Humboldt Bay. 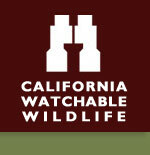 The Habitat: The refuge has several different units totaling almost 4,000 acres. These units consist of a mosaic of mudflats, estuarine eelgrass meadows, saltmarsh, brackish marsh, seasonally flooded freshwater wetlands, riparian wetlands, streams, coastal dunes, and forest. These habitats support over 316 species of birds and 40 species of mammals. The refuge also provides habitat for approximately 100 species of fish and marine invertebrates, many of which contribute to sport and commercial fisheries, including steelhead, coho and chinook salmon, and Dungeness crab. The Experience: The habitats of Humboldt Bay NWR support over 316 species of birds and 40 species of mammals. The refuge also provides habitat for approximately 100 species of fish and marine invertebrates, many of which contribute to sport and commercial fisheries, including steelhead, coho and chinook salmon, and Dungeness crab. In addition, concentrations of migratory waterbirds--especially shorebirds--occur in the fall, winter, and spring. In winter, it is not unusual for over 100,000 birds to use the Bay as a feeding or resting site. The main reason for these waterbird concentrations are the eelgrass beds and extensive mudflats. These also make the Bay an important spawning, nursery, and feeding area for fish and other marine life. Endangered/threatened species present are the peregrine falcon, bald eagle, brown pelican, Humboldt Bay wallflower, and beach layia. This refuge has been described as one of the most important areas in the U.S. south of Alaska for black brant. This is especially true during the spring when the Bay is a key staging area for brant prior to their return to arctic nesting grounds. The Lanphere and Ma-le'l Dunes Unit protects endangered and rare plants within rare dune plant communities. The refuge contains one of very few dune systems in which the underlying processes are intact. Wildlife and Where to Find It: Wildlife can be viewed from a car or trails at the Salmon Creek and Hookton Slough Units. Non motarized boats can be launched into Hookton Slough from the Hookton Slough boat dock. Shorebird Loop Trail is an easy 1.7 mile round trip hike. Hookton Slough Trail is an easy but longer 3 mile roundtrip. Viewing Tips: Waterfowl and shorebird watching is excellent from October through April. Wading birds, brown pelicans, and birds of prey can be seen year-round. Look for songbirds in spring. Easy walking, some car viewing. Two trails with interpretive exhibits and a viewing blind offer excellent viewing. A photoblind is also available seasonally by reservation. Site Notes: The beautiful Richard J. Guadagno Visitor Center features unique exhibits showcasing the ecology and wildlife of the Humboldt Bay area. A viewing room with spotting scopes, discovery touch box, tracking center and a Kid's Corner are found in the Visitor Center. A native habitat and songbird garden surround the visitor center. Restrooms and a picnic area are available. Festivals & Events: Refuge Family Fun Day, Aleutian Goose Fly-Off, CWA Outdoor Adventure Camp. Field trips available by reservation (see website). Take the Hookton Road Exit (Exit 696) off of 101 and follow the brown signs west over the freeway and turn right onto the refuge entrance road (Ranch Road). Follow the entrance road north until you reach the parking area in front of the Visitor Center. Take the Hookton Road Exit (Exit 696) off Highway 101. Turn right and then immediately left onto the refuge entrance road (Ranch Road). Follow the entrance road north until you reach the parking area in front of the Visitor Center.